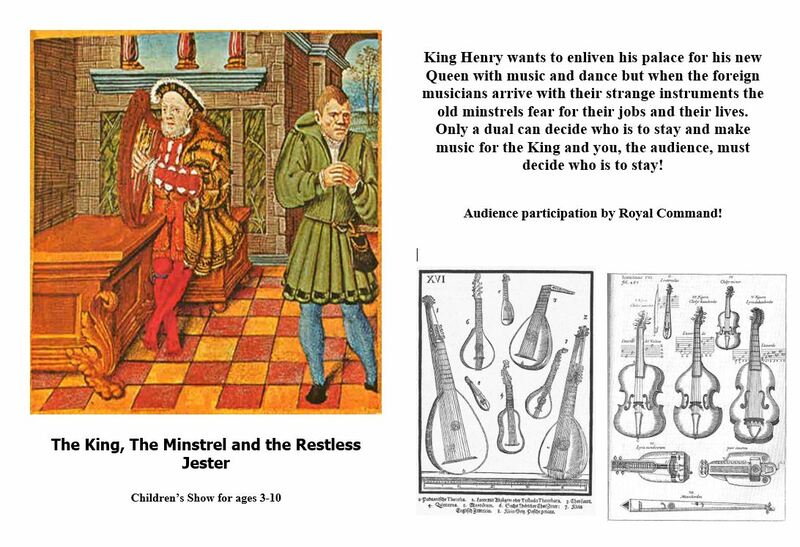 Sirinu specialises in small-scale productions for children from the ages of 2-11. 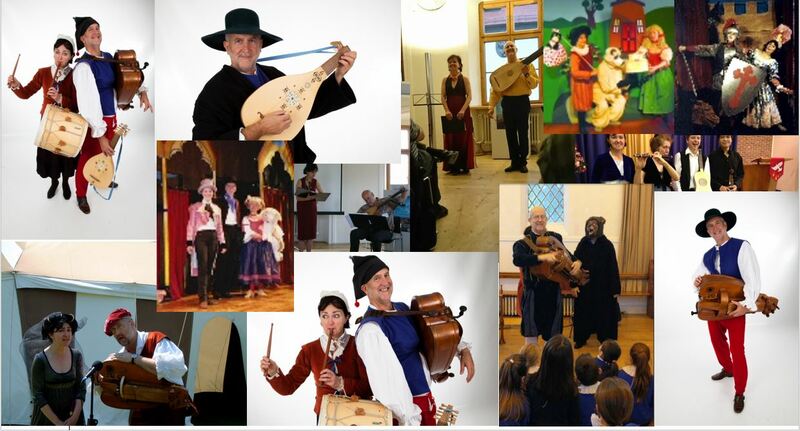 We offer educational workshops and entertainment shows.With its own props and a simple stage Sirinu can perform in a variety of venues including theatres, schools and village halls. 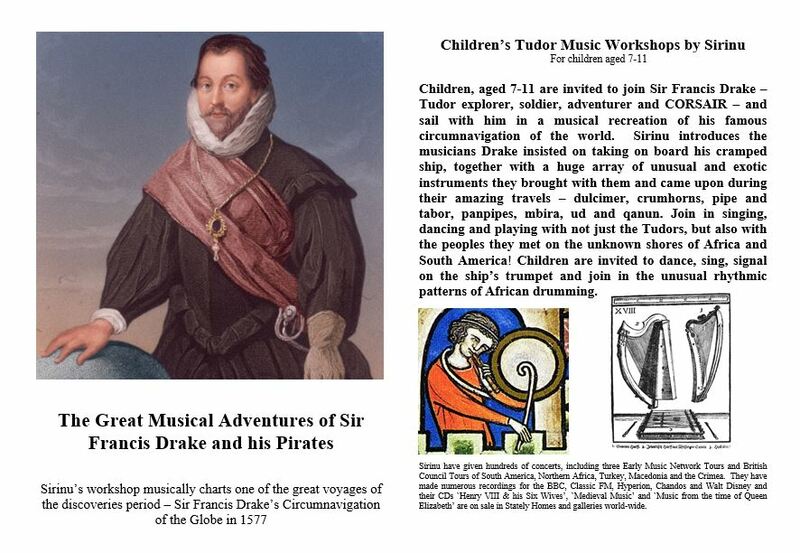 For older children (7-11) we offer historical themed workshops and shows, focused on the Tudors, the pirate ships of Francis Drake, and the Victorians. For younger children (2-6 years) we perform fairy-tale themed shows including `Goldilocks and the 3 Bears’, ‘Bo Peep’ and ‘Sir Goward the Coward and the Feasty Beasty’. Sirinu’s workshops last approximately 50 minutes to one hour. 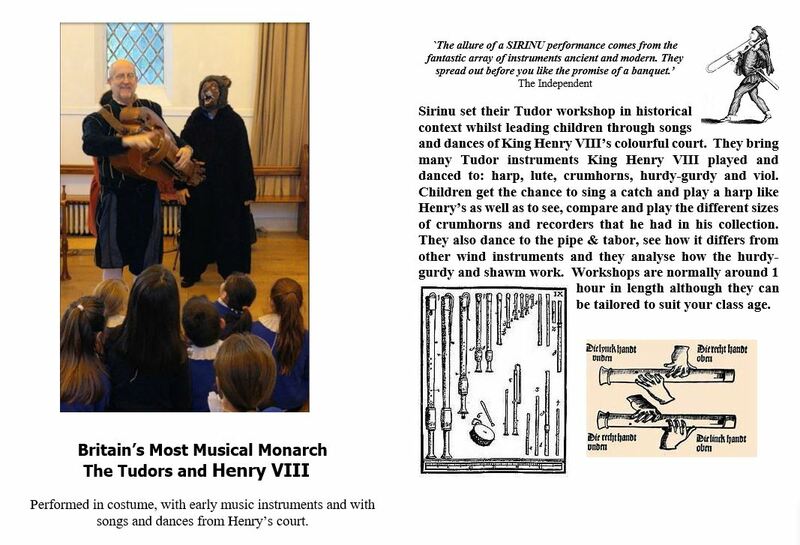 However, we have undertaken longer week-long projects in Lincolnshire schools (the Dissolution of the Monasteries in Louth), Music from the Time and Travels of Sir Francis Drake (Early Music Centre project in Yorkshire and Devon). 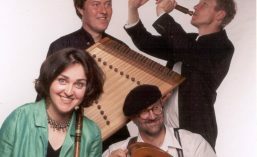 We have given adult workshops ion Cambridge, Oxford and at Little Benslow Music Centre, Herts. Contact us today to discuss booking of a show or workshop!